The future never looked brighter. “Gallery of Code”, a new Nigerian R & D lab was co-launched earlier this week in partnership with Ars Electronica, an Austrian scientific and artistic institute that is experimenting with groundbreaking digital art technological innovations. 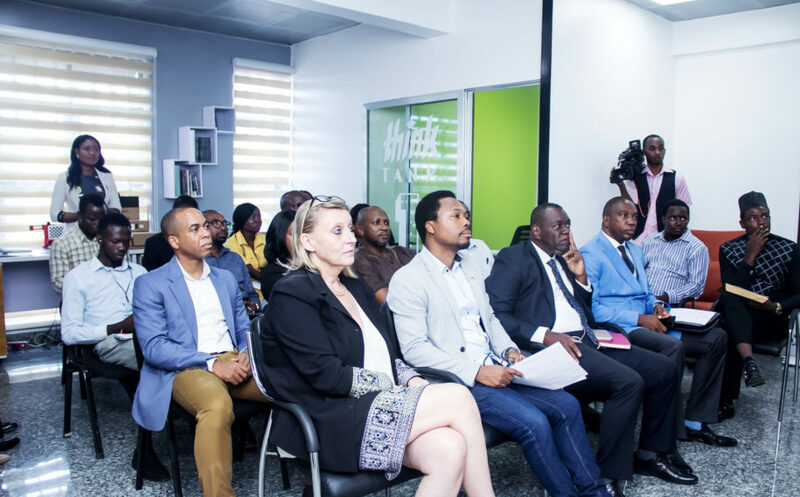 The Abuja-based research and creativity lab, located in the capital’s Gudu District, will support a global network of innovation hubs, academia and industry through technical and creative skills training. The centre is the brainchild of Oscar Ekponimo, the creator behind Chowberry Inc., an innovative web app that helps retailers cut food waste for disadvantaged households. Ekponimo was named by Time magazine in 2017 as a Next Generation Leader for his Chowberry social enterprise in providing affordable food nutrition to families and nonprofit organizations involved in hunger relief services. The aim of the center is to provide space, develop ideas and conduct workshops to foster home-grown creative solutions to Africa’s challenges by supporting next generation talent across disciplines ranging from health and renewable energy to agriculture. Equipped with advanced prototyping tools and machines supplied by Ars Electronica and funding from the Austrian Government, this ‘brainbox lab’ will bring together international scientists, technologists and media artists to produce jointly developed projects, skills training and knowledge transfer with talented Nigerian students and start-up entrepreneurs. An open call for submissions from the creative community was announced at yesterday’s launch which will bring in the centre’s first cohorts. Finalists will have their works showcased later this fall at the annual Ars Electronica Festival in Linz, Austria. Gallery of code is a multi-disciplinary research and development laboratory which combines creative artistic, scientific and technological approaches in solving local challenges. 1st floor Ocean Center, Plot 1018 Cadastral zone B18, off Oladipo Diya Rd, Opp. Gudu Library Gudu, Abuja.